Learn about the laws that apply when renting a place to live in Alberta. Select a topic below for more information. Notices to end the tenancy must be given in writing. Submit your secure and easy-to-use application for filing anytime, anywhere. Complete your submission by paying online with credit or debit through the secure MyAlberta eServices portal. You can manage your profile and application. The service enables you to check your application status, confirm hearings dates, submit evidence, and more. This Kit has been designed for landlords, property managers and anyone else who works on-site or has access to residential rental units. Thinking of co-signing a lease for a friend or relative? Who pays for utilities? Can you ask your landlord to lower your rent? We have the answers to these questions and more. Now that recreational cannabis is legal in Canada, can landlords still restrict its use in rental properties? What are my obligations as a co-signor? Who is responsible for utility payments? Can I ask my landlord to lower my rent? 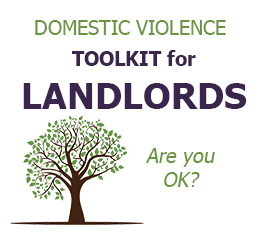 CPLEA has developed a tipsheet on the new amendments to the Alberta Residential Tenancies Act that allow for victims of domestic violence to break a lease early, without financial penalty, if their home is unsafe. You can download the publication for free at CPLEA’s publication page (click on Abuse and Family Violence). This tipsheet is part of CPLEA’s Families and the Law: Domestic Violence Series.